You want to listen to the songs of your favorite singer or an entire discography but you don’t know which platform to use. 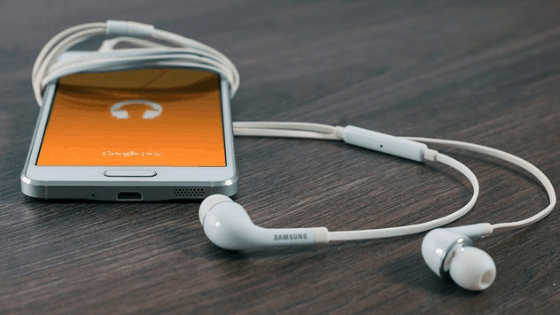 We at Teknologya have created an article in which we list the best free or paid streaming music services available at the moment in the square. Spotify is undoubtedly the most popular music streaming platform in the world that gives members the chance to access a really wide music catalog. The service can also be used completely free of charge with advertising and some limitations. For example, it is not possible to listen to a specific song by an artist but it is necessary to reproduce the entire mix of the same or you can listen to the songs in random order (shuffle mode) and obviously you cannot download them for offline listening. If you want to have a better use experience with Spotify, then you need to buy a premium subscription at a cost of 9.99 dollars per month or alternatively opt for the version for students costing 4.99 dollars per month or for those aimed at families at a price of 14.99 dollars per month. Spotify is usable on a wide range of devices that can be smartphones, tablets, computers, TVs, speakers, game consoles, smartwatches, voice assistants and more. Among the best free or paid streaming music services we have also decided to select Amazon Music Unlimited. The well-known online shopping site has decided to launch some time ago its own platform that allows you to play your favorite songs from many devices, including smartphones and tablets. Owners of a Prime subscription can use the Amazon Music service which provides over 2 million songs to play on personal devices without subscribing to a further subscription. Alternatively, to access the entire music library (over 50 million songs), you need to subscribe to Amazon Music Unlimited for $9.99 a month with a free 30-day trial for new customers. We would like to point out that often the e-commerce giant proposes an interesting discount that allows you to subscribe to the platform by paying only 99 cents for 3 months. For several years, Apple has also decided to dive into the music streaming platform sector by offering its own service called Apple Music, following the acquisition of Beats. Even if you don’t offer a free version, new customers can try the service for 3 months for free. After that, it is possible to opt for 3 different passes: Students at 4.99 dollars per month, Individual at 9.99 dollars per month and Family at 14.99 dollars per month. You can listen to your favorite songs via Apple Music on many devices like iPhone, iPad, Apple Watch, Apple TV, Mac, Apple CarPlay, PC, Android and Sonos audio systems. Since many users use YouTube to listen to their favorite music, Google has certainly not been watching and has decided to launch its own streaming music platform called YouTube Music. Just like Spotify, the free version of the service allows you to listen to your favorite songs with advertisements and also, if you use the app for Android and iOS, it is necessary that the latter is always present in the forefront. Otherwise, it is possible to opt for the Premium subscription which includes a cost of 9.99 dollars per month with the first free month. Also available the plan dedicated to families for the cost of 14.99 dollars per month usable by 6 people. If the solutions indicated above did not satisfy you, you can rely on many other platforms to listen to your favorite songs in streaming using a simple Internet connection. Find the complete list below.